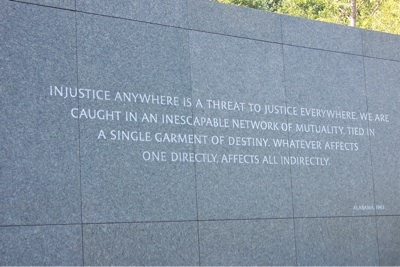 Recently, we were in Washington, DC and had a chance to see the MLK Memorial. 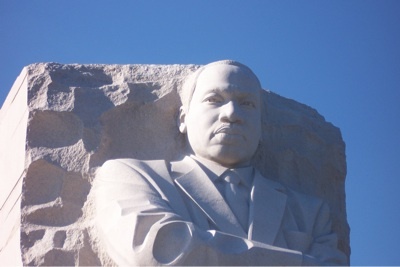 The statue was quite impressive and captured Dr. King’s strength and spirit. However, what I found most impressive were the quotes on the wall behind him. Here are the 14 quotes. I found them here. However, as inspiring as these quotes are, what’s missing are some of the quotes from his Beyond Vietnam speech given one year before his death. This speech, read today, is still as powerful as it was then. 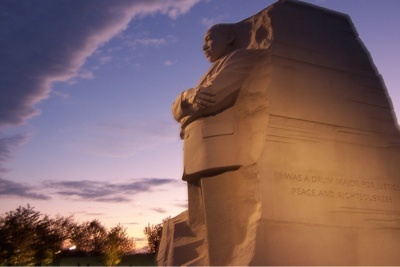 It showed the radical Dr. King who realized that the War in Vietnam was keeping the US from fulfilling the promises that the country had made to the poor – black and white. I thought about these quotes while watching the protesters Occupying Wall Street. Cornell West – professor of African American Studies at Princeton University – recently visited them and commented that Dr. King would be smiling at them for the work that they are doing.